Who will answer questions about the prescriptions? Should I contact the doctor, the pharmacist, or does the hospital have someone else for me to contact with questions about care? What phone numbers do I need to have on hand? 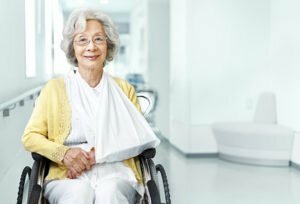 What kind of medical equipment might be required (such as a walker, crutches or telehealth devices), and who will provide them? What activities are not recommended following surgery? What symptoms should I keep an eye out for that might suggest a problem during recovery? Will the prescription drugs cause drowsiness or confusion? Educating yourself and your senior loved one with the information needed for smooth discharge planning from hospital to home can pave the way for an easier and more comfortable transition following a surgical procedure, but the best way to prevent post-hospitalization problems is by engaging the services of a professional home care agency like Hired Hands Homecare. Our Napa senior living experts can help your senior loved one get settled back in comfortably after surgery, pick up prescriptions, and make sure he or she stays safe and well. Contact us any time at (866) 940-4343 to learn more.